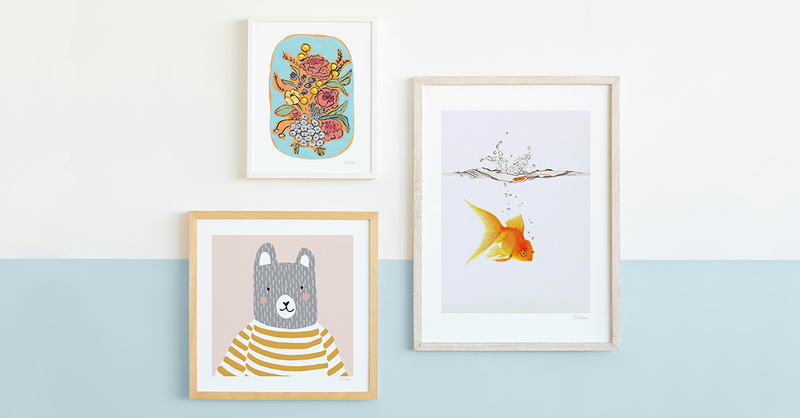 Five reasons to try Minted - cards, artwork, invitations and more! I remember reading about Minted years ago online and I was intrigued. The blogger (who no longer writes for her site) was showcasing the most beautiful Christmas cards and I couldn’t wait to try the company out myself. I’ve used Minted several times over the years, but they aren’t just for cards! We have artwork, stationery and I’ve ordered invitations and announcements through them. Obviously, you should check out their Christmas cards. I’ve definitely tried different companies over the years, but I really love the selection of cards Minted offers. They offer quality card stock, different sizes and even foil designs. Last year, we did go with foil and it just added an extra piece I didn’t realize I loved so much. Other holiday cards. When my son was 2 or 3, I ordered Valentine cards. I have a friend who shoots our family photos, and I had one photo that was just stunning and worked PERFECTLY with Minted’s Valentine’s Day options that year. So beautiful that it could have been framed if a family member had chosen to do so. Do you have a new baby in the family? If so, this is the perfect opportunity to try Minted. Their baby announcements are gorgeous and friends would love to receive a photo card from you! With my first child, our announcements were sent immediately. My second child’s announcements were sent just before our Christmas cards that year – and she was six or seven months old. Either way, our family and friends had those newborn photos! A few years ago, my son had a dinosaur-themed birthday party. (Four years to be a little more precise. How is he almost 7??) I ordered dinosaur birthday party invitations from Minted, and they were simple and so, so cute! The size was closer to 3.5 inches by 5 inches, and they were perfect for the party. I love how their designs are so classic. Several years ago, we had a guest room. I have written a few times about this space, and at one point I received artwork from Minted to go in the guest room. I love the art and now it’s in a different room. (Seeing how we haven’t moved, that guest room is now a child’s bedroom. Funny how those things happen.) Now that I’m seeing the photo again, I think it would go great in my son’s room – imagine the walls in very light shade of blue. 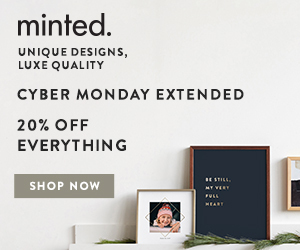 Have you tried Minted? Do you send Christmas cards, or do you prefer to send other holiday cards?